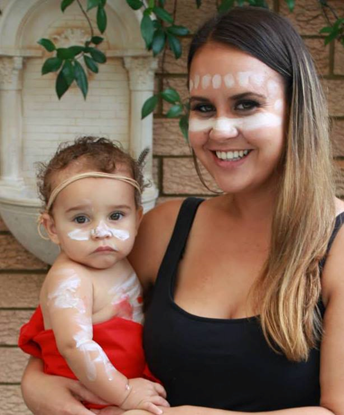 Belinda Huntriss is passionate about education and educating Indigenous Australians. Belinda’s people are the Worimi people from the Gloucester/Forster area. Belinda graduated from Uni after almost 6 years, after heading down the wrong path for a while. I met her when I volunteered with AIME, as one of the AIME people on campus Belinda was in charge of our little group. We would go out to a local high school and host after school homework centres. Belinda was so inclusive she would include a non-indigenous boy who used to hang around after school waiting for his parents. As a part of her role she worked with over 300 Indigenous kids. Belinda’s posts often come up in my facebook feed and I really look up to her (even though we’re similar ages). She’s honest and frank about the challenges she’s facing but she has plans and goals and doesn’t ever seem to give up. Which for me makes her a Ms NAIDOC.